I’m excited to be participating in the Silhouette Challenge again this month, and I am really excited to share what I made with all of you! Like really, really excited. In last month’s Silhouette Challenge, I was intrigued by Lisa from Grey Luster Girl’s Candy Travel Alphabet Game. It worked kind of like an advent calendar with little tear-open windows for each letter. I loved the idea and really wanted to try my hand a some kind of tear-open project. Aaaaaand I think what I came up with is actually kind of awesome. I started off by designing the cards. I went with a simple black design on colored cardstock because I wanted a graphic, modern look (oh – and because my printer was out of color ink). Of course, I put the print and cut feature to work on this project because it is just my favorite thing ever. Here’s what the card fronts look like fresh from the printer. 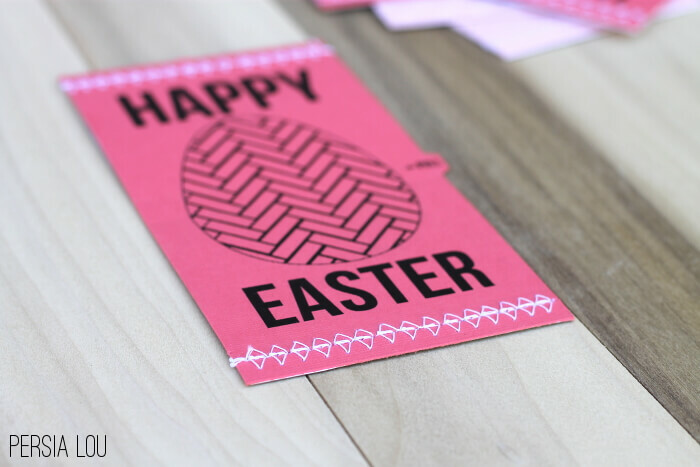 For the backs of the cards, I used patterned paper and printed the card’s interior message on the white, blank backside of the paper. This way the back of the card has a pretty design! 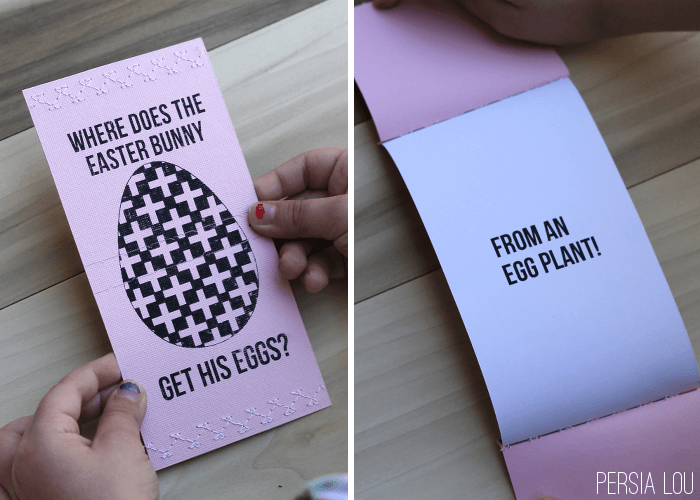 I thought about using glue to attach the front of the card to the back (and you could totally do that! ), but ultimately, I decided to use my sewing machine to stitch the fronts to the backs. This was the perfect time to try out some of my sewing machine’s fancy stitches. I really like the detail the stitching provides – ain’t it purty? – plus stitching holds the cards together very securely. Once the cards are sewn together, they are all ready to give away and rip open! I came up with a few different ideas for how to put these fun tear-open cards to use. 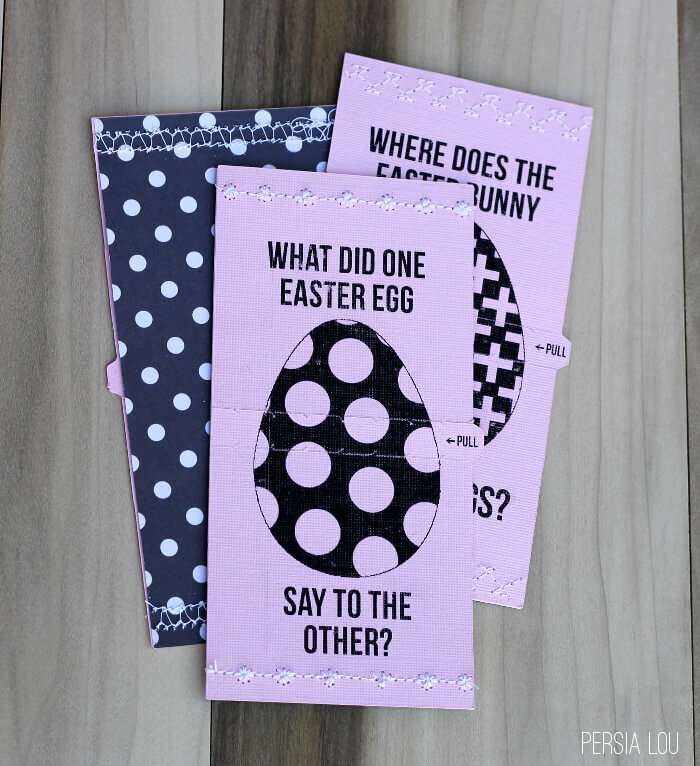 One option is to put a Easter scripture or message inside. 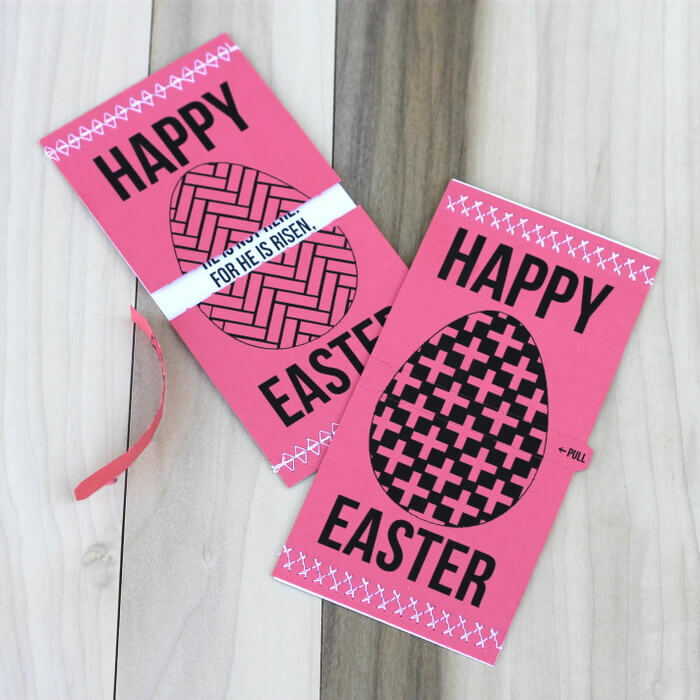 I also thought of making the cards into little IOU type gifts for my kids’ Easter baskets. 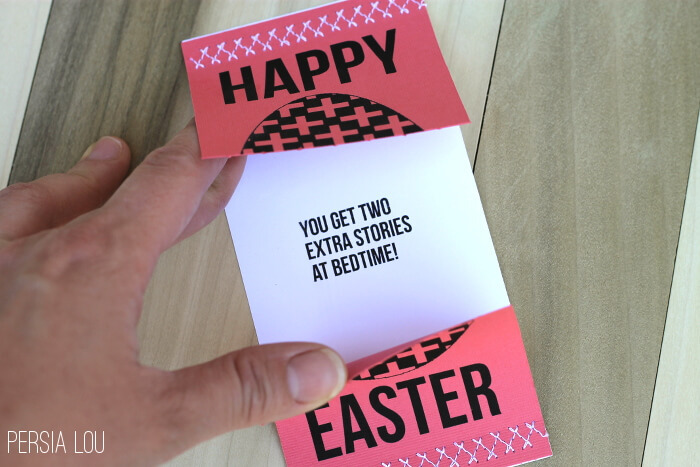 We keep things pretty simple over here for Easter, so a special little privilege or experience (like an extra story at bedtime or going to the movie theater) seemed like a perfect little treat. 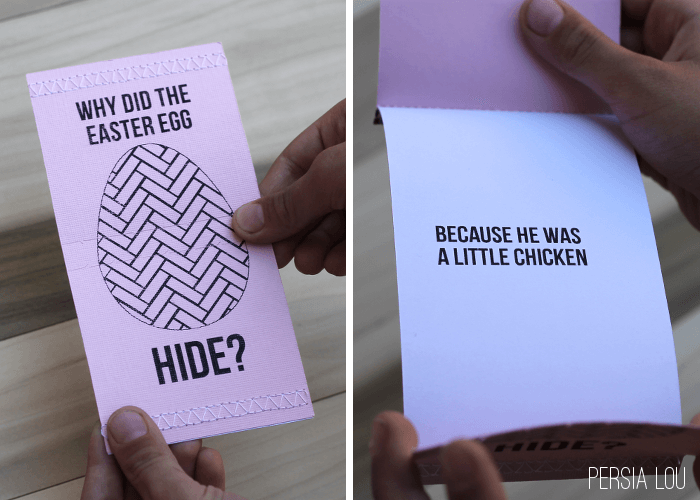 My last idea for how to put these little cards to use is my favorite of all: cheesy Easter jokes! I’m always interested in getting my kids some new joke material (I can only hear the same knock-knock joke so many times). Wouldn’t those be a fun little addition to an Easter basket? If you like these little jokes, good news! You can get the Silhouette print and cut files to make your own! Get the file for the front of the joke cards HERE, and the file for the joke card backs HERE. 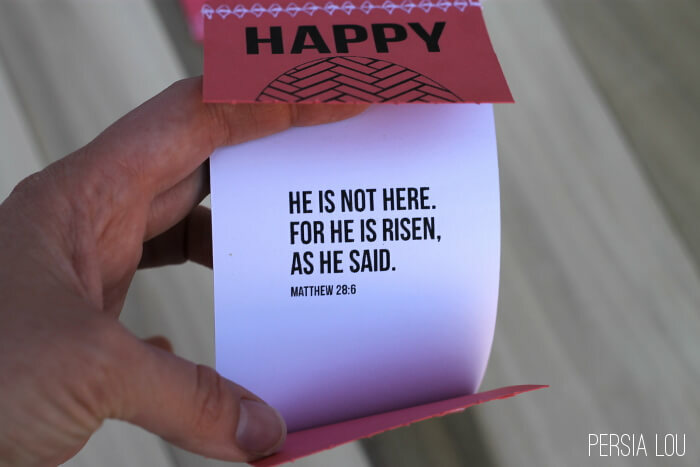 And if you like the plain Happy Easter cards, you can get the fronts for those HERE. 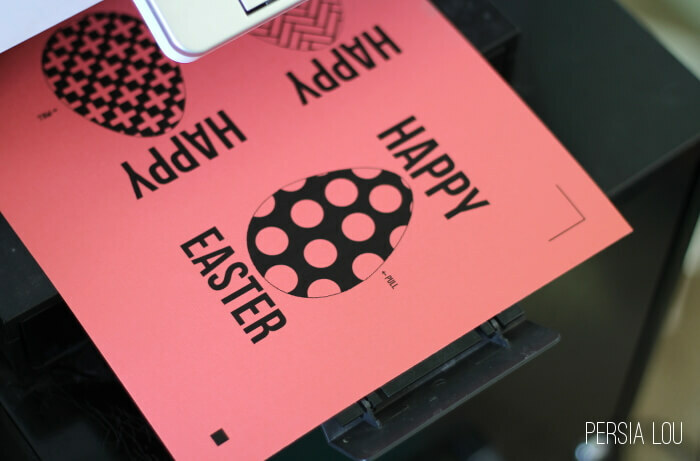 Just print your own custom messages or IOU treats on 3″x6″ pieces of cardstock for the card backs. Love these! 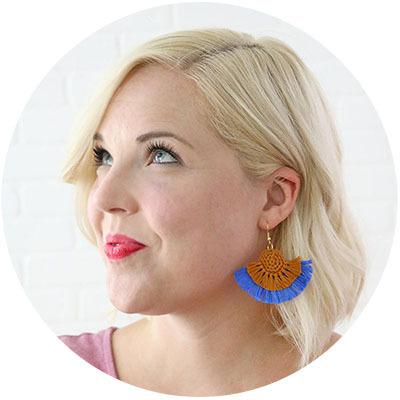 They are super cute and I can&#39;t wait to try and make them! (: <br />Happy Easter! BRILLIANT, Alexis!! Love, love, love it!! Love these! 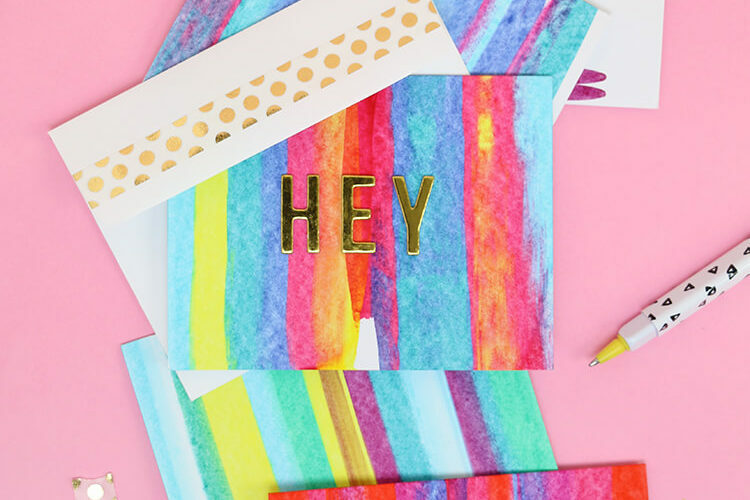 I have so many ideas on how to use these tear cards! Pinning! Holy cow! These are great! You&#39;ve really outdone yourself! Thank you so much for sharing! These are so incredibly cute. I had no idea this little machine could make something so fancy! 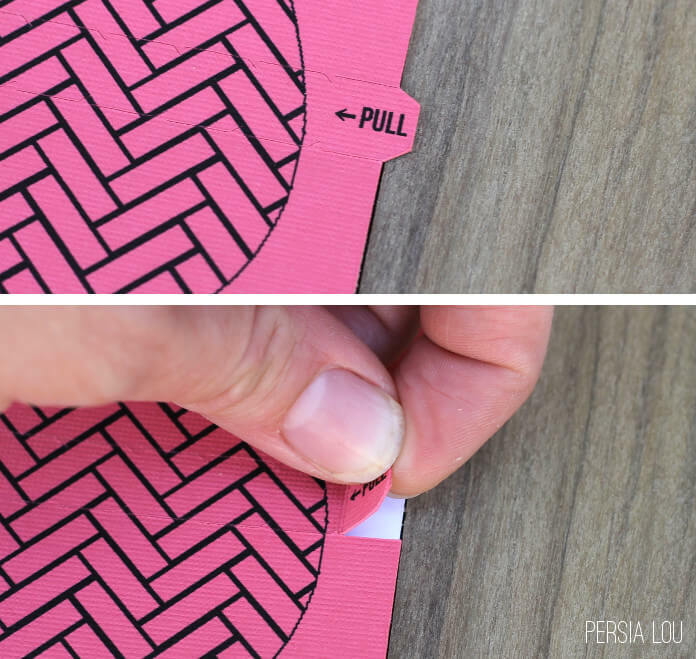 Wow you made a pull tab! That is beyond impressive! I may try to do this for a wedding shower game I am planning. These are phenomenal Alexis! You are so sweet to give me a shout out too :). I love your project so much, I think I am going to make them for my Activity Days Girls for Easter. I think the rip tab will be such a good option for the advent calendar too, especially after seeing it in action!! Well done friend! What a fun, fun project. Thanks so much for sharing the idea, and the files! These are just great. Bet your family will have so much fun with these. Wow, I love this so much! I might even steal your idea for our Christmas cards this year – so much fun!! 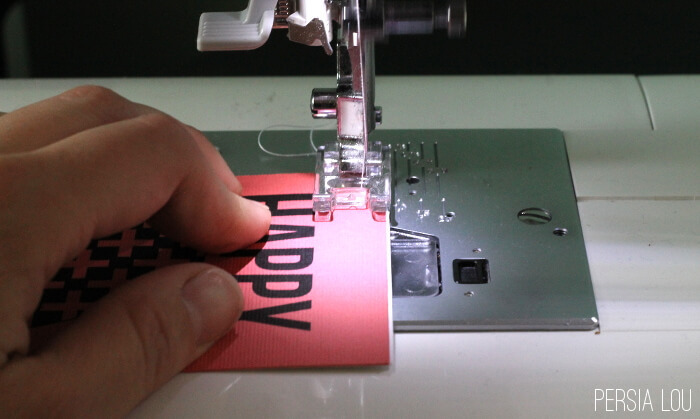 And I absolutely love how you used the specialty stitches on your machine – what a great idea!! Oh my goodness! These are amazing!! 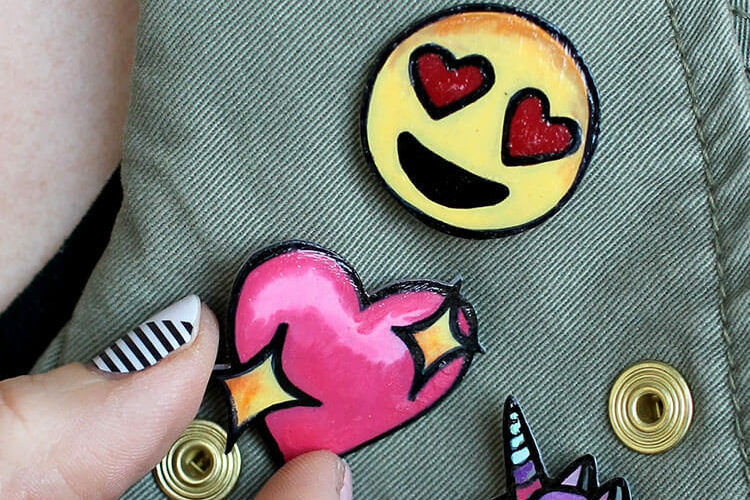 And the extra detail from your sewing machine stitches is just awesome!